Have you ever wondered what happens if you experience an error whilst playing online games? It can be a very frustrating and frightening experience – especially when there’s a lot of money at stake. The amount of rigorous testing that bonafide games have to go through would suggest that errors shouldn’t occur at all, but sadly nothing is infallible and sometimes the gremlins in the system break free. You may have read conspiracy theories about games freezing to stop big wins or some other such story, but if you are playing a game from a well known developer this will not be the case and the malfunction will have been a genuine anomaly. Luckily, certain measures have been taken to make sure everything is kept fair and above board on these rare occasions. A malfunction will either happen at your end or at theirs, and the answer to that will dictate what happens next. If you have played online slots in the past you will probably have seen the paytable, and if you haven’t, then you really should. 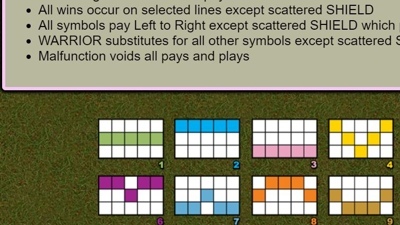 The paytable shows you the value of the various symbols and how to play the bonus rounds and win money, but tucked away right at the bottom of this is a very small message which will read something like: “A malfunction voids all pays and play” – this message is referring to problems at their end and can be a real nightmare if it affects you. That little message screams that if anything were to go wrong whilst you were playing that slot game, any winnings associated with the affected spin won’t be paid and you will be refunded your initial stake instead. This is a minor victory if it was a losing spin as you essentially got a free go, but if you had won something substantial then the return of your stake is hardly going to cool your temper. If the problem comes from your end then the outcome can be brighter, because depending on the nature of the problem the spin could still complete and grant you any potential winnings. It must be stressed, however, that this is wholly dependent on what has gone wrong. 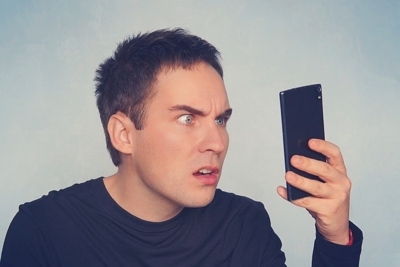 Most often a malfunction will occur because of a lost internet connection or one that drops in and out. This means that your computer cannot properly send and receive information to and from the server that the game is running on. It’s like trying to have a mobile phone conversation on a train that keeps going through tunnels; eventually, it will cut out. You might also be using an outdated or not fully compatible internet browser which can make it difficult for the games to run smoothly. Too many bumps in the road could cause it to crash. Alternatively, it could just be a badly designed game. This is unlikely if you are playing at a recognised casino, but if you have found somewhere new and untested they may be hosting games by providers that aren’t up to scratch. Spinning Reels – If you are going to get an error you would probably want it to be this one. 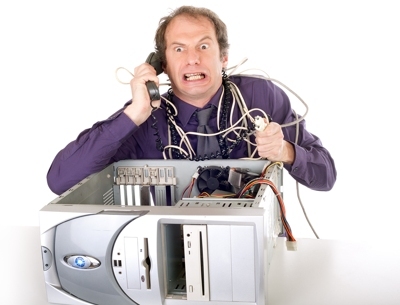 It’s usually down to connection issues and if you log out and back in again it should sort itself out. Better yet, the result of the last spin will have been recorded and you can pick up from where you left off, which means you won’t lose out on a win. Graphical Errors – This is when a game shows the player one result but records another. The recorded result is what counts. For example, if you were playing Blackjack the game might generate your cards as a 2 and a 4, but the graphical error means that you are shown an Ace and a 10. The dealer gets a 7 and a 9 and you are left wondering why you lost. It’s akin to buying a box of chocolates and finding it full of Wine Gums when you get it home. This is very rare and most often associated with downloaded software that has been corrupted, and since most players use instant play these days it’s not widely reported anymore. If you do use a download client you may need to uninstall and then reinstall it to fix the issue. Incorrect Payouts – This can go both ways. If you feel you have been underpaid it may be down to a graphical fault as described above, but otherwise you will need to explore it with your chosen casino. If you think you have been overpaid – and this has happened in the past – you are bound by the terms and conditioned to report it and give the excess money back. Soz. Another reason this can happen is because a game has been badly designed, so stay away from unknown platforms. Accidental Closure – If you malfunction as opposed to the slot and accidentally close the game window mid-spin (we’ve all done it), then you could be in luck. Most games will complete the spin in question and still pay out accordingly. The same applies should your computer/device freeze or crash. Game Won’t Load – While not technically a malfunction it is still annoying if it’s a title you have heard good things about and wanted to try for yourself. There could be all kinds of reasons for this. Browser issues, software issues, connection issues. Try again later. If it still doesn’t work then the game may have been taken down for maintenance – the support team should be able to confirm this if you are desperate. Most importantly, don’t panic. 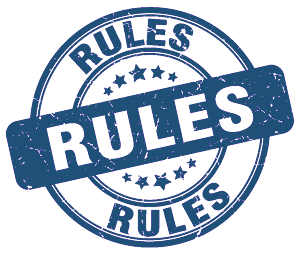 If you are playing at a regulated casino you will be treated fairly and the issue will be dealt with according to the terms and conditions that agreed to. The first thing you should do is stop clicking etc and leave the game alone; the less you mess with it after the error the better. Try and take a screenshot if you can so that you have some proof of what is displaying on your screen. Next, get in touch directly with the customer support team at the casino you are playing at and report the issue. They will be able to look into it and figure out why it happened and what to do about it. It’s also a good idea to immediately write down what happened in as much detail as possible so that you don’t get confused and mis-remember anything. That way you can give an honest and thorough account to the casino and you won’t make any false statements that could cast doubt on your case. Try not to take an attitude or a temper into the conversation with the customer support agent, it won’t help you get things done any quicker and if anything is more likely to cause further issues. Any casino worth its salt will give you access to an online gaming log which records every bet a player makes and every result of that bet. This log will show the actual outcome (as opposed to what you may see during a graphical glitch, for example) so you can check exactly what happened on any spin and so can they. The best way to avoid running into issues is to only play at well established sites using properly tested and certified game developers. Make sure you are also using an up to date browser with solid internet connection and clear your cookies/cache regularly. This will ensure you are doing everything possible at your end to avoid errors. To legally operate in this country a casino has to be regulated by the UK Gambling Commission. Look for proof of this on the site in question, it will often be down at the bottom, and you can also search the UKGC’s website itself for the company you are thinking of gambling with. Genuine slot developers will have their games independently tested for fairness by one or more gaming test labs. If they have done this, they will be keen to let you know since it reflects positively on their product, so the information shouldn’t be difficult to spot. eCOGRA, TST, iTechLabs, GLI, and NMi are a few names you can trust.